cheap generic viagra mail order pharmacy Join the Conversation: What expert would you like to hear in the first Sugar World Summit? Let us know now. Save the date Friday, October 17, 2014. That’s when the frist Sugar World Summit — a virtual event — will take place to educate, entertain and motivate you to Take Back Your Sugar Power. read more The Sugar World Summit begins Friday, October 17 — exactly two weeks before Halloween, or what I like to call Sugar Overload Day. 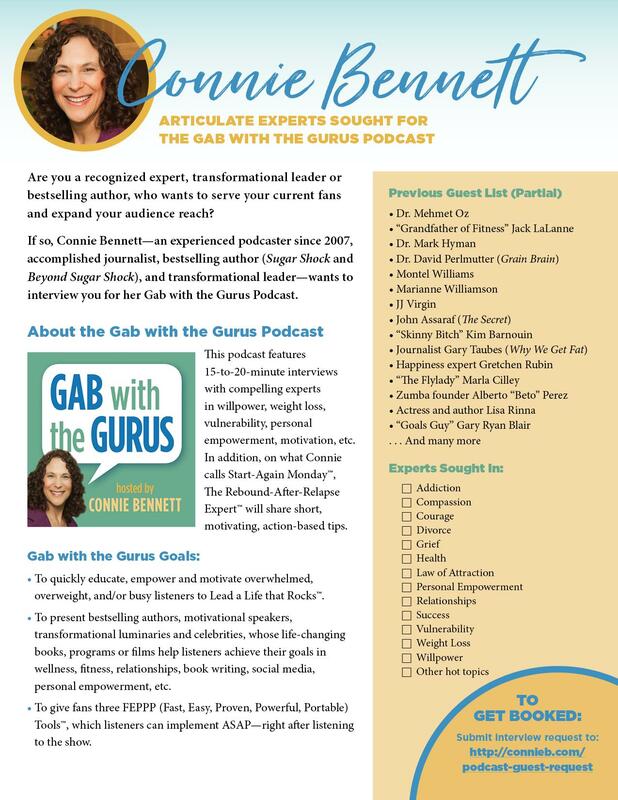 During this once-in-a-lifetime virtual event, you’ll have access to world-renowned anti-sugar pioneers, scientists, researchers, New York Times bestselling authors, educators, and wellness gurus, who specialize in weight loss, emotional eating, compassion, mindful eating, and cravings. We’re also planning a few surprise celebrity guests. Sign up below now to get exciting details delivered directly to your in box. In this Sugar World Summit, you’ll get both The Sweet News and The Sour News. You’ll not only find out about sugar’s dangers, but you’ll also discover sweet, simple tools to help you let go of your addiction to sugary foods and much-like-sugar carbs (or what I call auickie carbs or culprit carbs.). order now Dr. Robert Lustig, ‎ pediatric endocrinologist and New York Times bestselling author of Fat Chance: Beating the Odds Against Sugar, Processed Food, Obesity & Disease. His “Sugar: The Bitter Truth” lecture has had more than 4.6 million hits on YouTube. Photo shown above. generic viagra Dr. Mark Hyman, chairman of the Institute for Functional Medicine, medical editor at the Huffington Post, on the Medical Advisory Board at “The Doctor Oz Show,” and New York Times bestselling author of The Blood Sugar Solution 10-Day Detox Diet..
JJ Virgin, P.h.D., C.N.S., celebrity nutritionist, fitness expert, New York Times bestselling author, whose new book, JJ Virgin’s Sugar Impact Diet: Drop 7 Hidden Sugars, Lose Up To 10 Pounds, Just 2 Weeks, is being published days after the Sugar World Summit. Dr. David Perlmutter, “Empowering Neurologist,” Linus Pauling award-winner and author of the # 1 New York Times bestselling Grain Brain. Jimmy Moore, popular low-carb blogger, co-author with Dr. Eric Westman of Cholesterol Clarity. He shed 180 pounds and peeled off 20 inches by quitting sugar and going low carb. 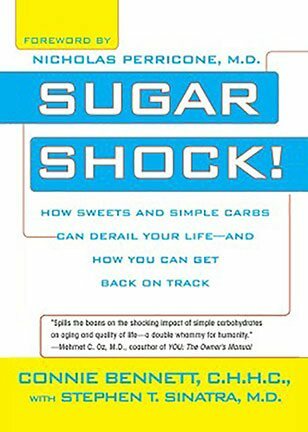 Dr. Richard Johnson, a practicing physician, acclaimed clinical scientist and author of The Sugar Fix::What You Don’t Know about Fructose and HFCS Could Kill You. Serge H. Ahmed, Ph.D., CNRS Research Director, Principal Investigator & Team Leader, Addiction, Compulsion and Dopamine Dysregulation Syndrome, Université de Bordeaux. He’s done fascinating research on addcition, sugar and cocaine. 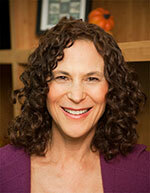 Roberta Ruggiero, founder of the Hypoglycemia Support Foundation and author of Do’s and Don’ts of Hypoglycemia. An Every Day Guide to Low Blood Sugar. High Voltage (Kathie Dolgin), author of Sugar Savvy and founder of Energy Up Voltage Approved, Inc. (EUVA), a nonprofit organization to fight teenage obesity and to prevent type 2 diabetes and other diseases, particularly among teenage girls. Sign up now for this exciting Sugar World Summit so you won’t be left out in the cold this holiday season with all those tempting “treats,” which can trick you into weight gain, mood swings, low libido, heart disease, and more. Easily shed your dreaded excess weight. Leave behind your depression and get filled up with good cheer, passion and enthusiasm. Have enough energy to keep up with your kids or perform well on the job..
Tame Your Cravings™ for sugary, salty or fatty unreal foods. 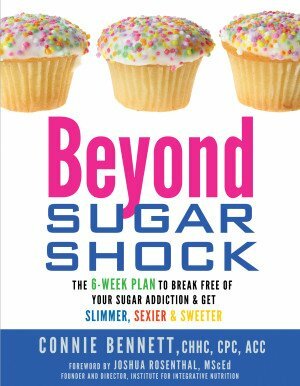 Banish your horribly annoying brain fog and begin to concentrate with a razor-sharp focus..
Rev up your libido so you’ll be thrilled with your time alone in the bedroom with your beloved..
Connie Bennett is a former sugar-addicted journalist. After kicking sugar on doctor’r orders in 1998, all 44 of her ailments vanished. 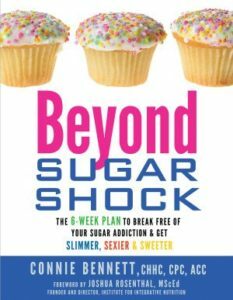 Connie is now known as The Sweet Freedom Guide, and she is a transformational speaker, blogger, certified health coach, certified life coach, Gab with the Gurus host, and bestselling author of Beyond Sugar Shock, which was praised by many experts such as Dr. Wayne W. Dyer and Dr. Daniel Amen. Her first book, Sugar Shock. was praised by Dr. Mehmet Oz. Connie’s next book will be out later this year. Join the Conversation: What expert would you like to hear in the first Sugar World Summit? Tell us know now.